Glitter tape has so many uses. Embellish a card, treat package or scrapbook page. 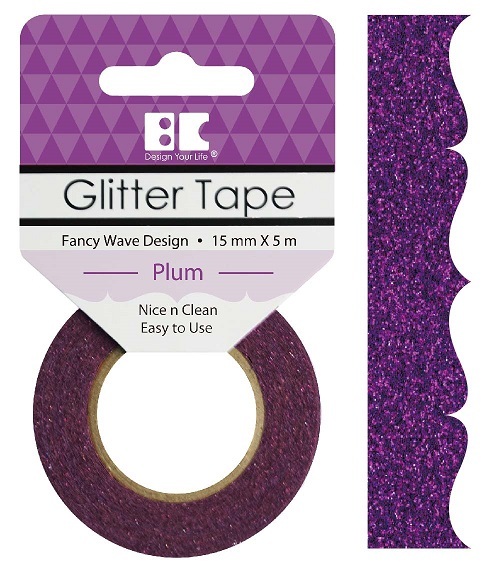 Easily add a little sparkle to any project with mess free glitter tape. We recently celebrated a birthday and wanted to dress up the cake a little bit. We really wanted our cake to sparkle. 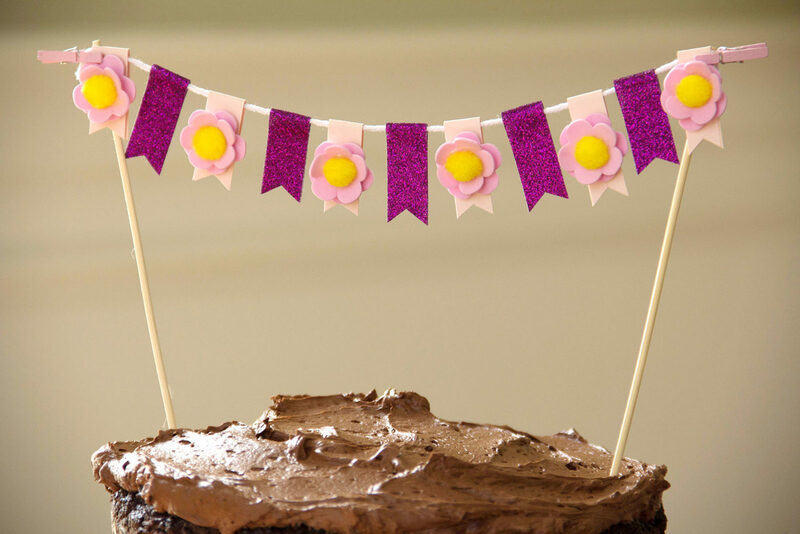 We created this cake banner using our Purple Glitter tape. Plum Glitter Tape, pink card stock, flower embellishments, white baker’s twine, mini clothespins, glue, scissors and food kabob sticks. 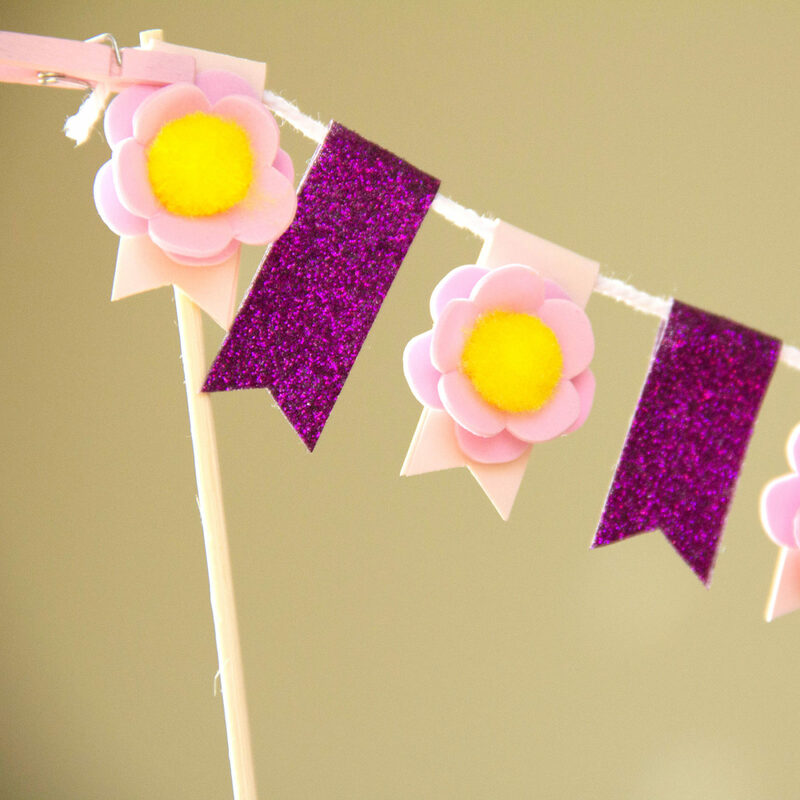 Small banners are easy to create with minimal supplies. 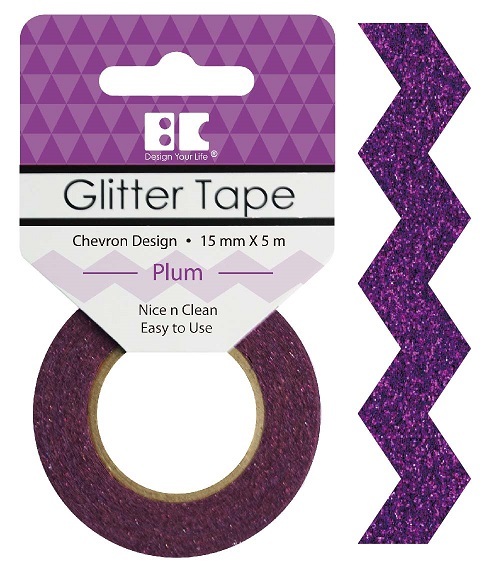 Cut 6 pieces of Plum Glitter Tape to 3″. Cut 5 pieces of pink card stock to .5″ x 3″. Lay glitter tape and card stock out on a table in an alternating pattern. 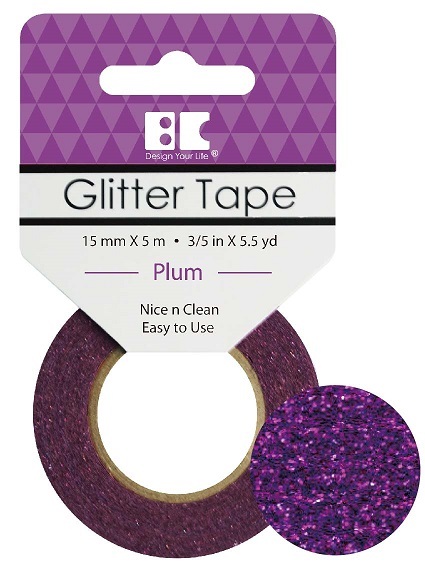 Lay a piece of white baker’s twine in the middle of the glitter tape and card stock. Fold glitter tape and card stock over the piece of white baker’s twine and adhere if needed. Snip the tape and card stock edges to create a flag shape. 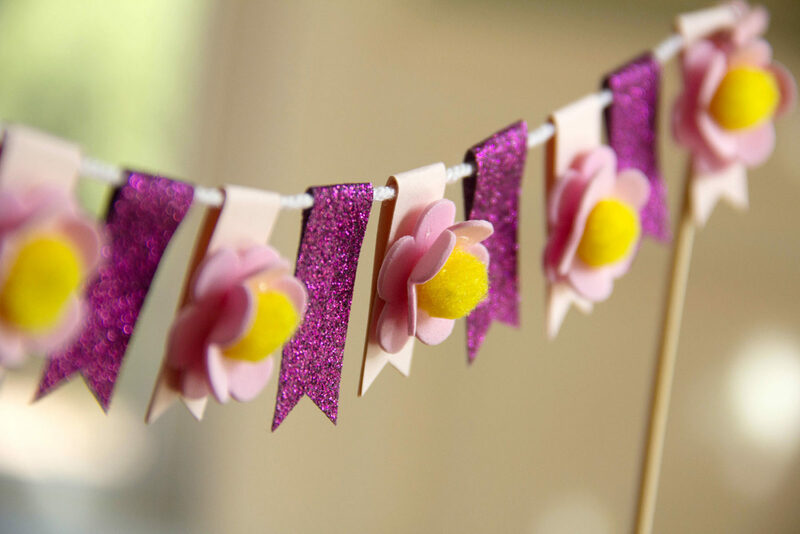 Add embellishments to card stock banners. 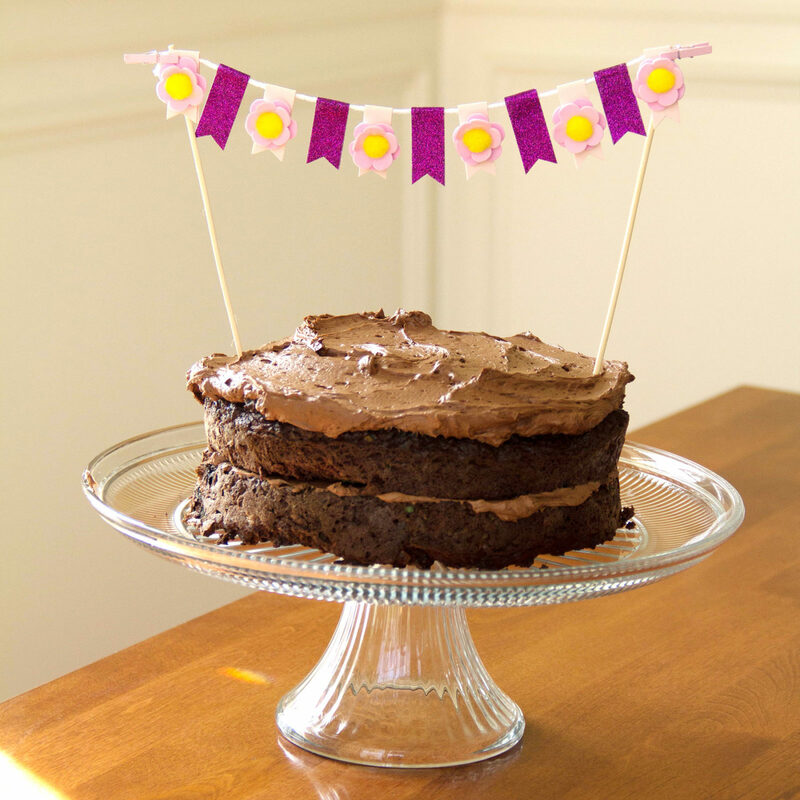 Attach each end of the baker’s twine to food kabob sticks and you are ready to top that cake! 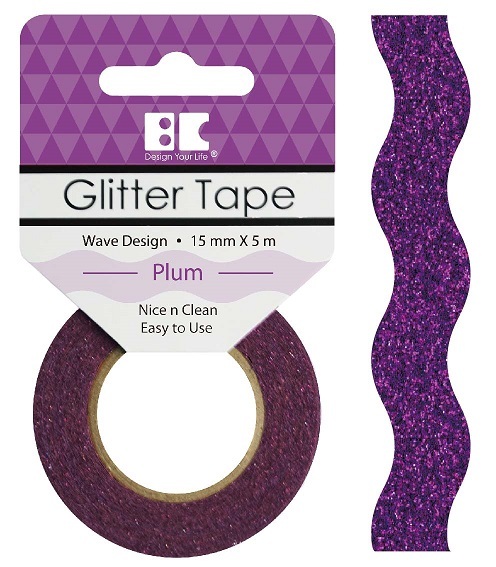 Our Glitter Tape comes in a variety of colors and shapes. Find these fun embellishments and more in our online store. Tape roll measures 15mm wide x 5m long (3/5″ x 5.5 yd) with a wave pattern and is Acid & Lignin free. Tape roll measures 15mm wide x 5m long (3/5″ x 5.5 yd) with a fancy wave pattern and is Acid & Lignin free. Tape roll measures 15mm wide x 5m long (3/5″ x 5.5 yd) with a chevron pattern and is Acid & Lignin free. This entry was posted in Crafts & Kits, DIY Projects and tagged Cake Banner, Glitter Tape, Plum Glitter Tape.